Our Mini Bride Flower Girl Dress is made from 100 Satin, highest quality lace, soft puffy tulle, large satin bow w/brooch in the center. Our Sophie Tutu Dress is blush pink with off white lace for that perfect touch of vintage. Cut in a contemporary style. 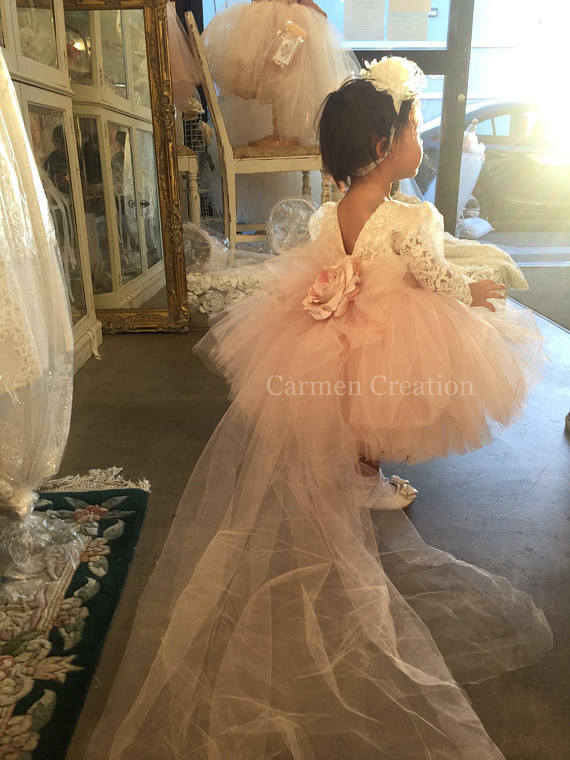 The dress features pastel pink/ blush Tafetta fabric, high quality lace throughout the top and sheer sleeves, soft puffy tulle, and large tulle bow for a very delicate yet dramatic touch.